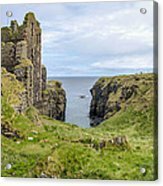 Sinclair Castle Scotland Girnigoe, located about 3 miles north of Wick on the east coast of Caithness Scotland. 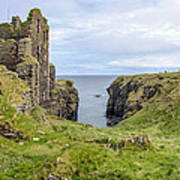 It is considered to be one of the earliest seats of Clan Sinclair. 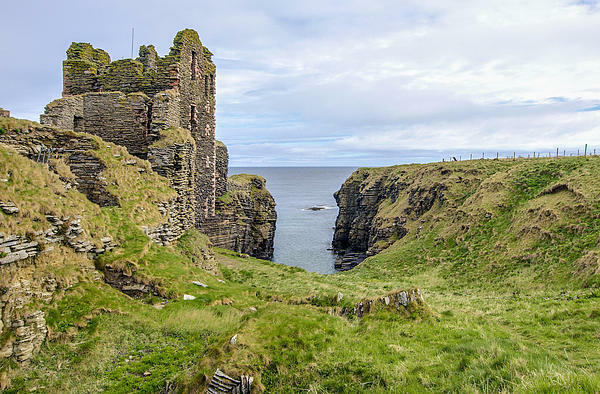 It was built by William Sinclair, the 2nd Earl of Caithness around 1476. In 1577 George Sinclair imprisoned his own son John, in the castle on suspicion of rebelling against the rule. He was held there for 7 years, He was feed only salted beef, with nothing to drink, so that he eventually died insane from thirst.